2019 is a platform for hosting shared activities over the web, manage documents from start to finish, and publish reports to help everyone make better decisions. SharePoint allows you and your team to store files in a shared team space so that everyone has access to the latest versions. 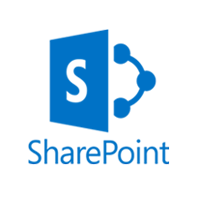 SharePoint is a collaboration tool. By sharing documents, you can also collaborate on work. Depending on how your site is setup, you can check documents in and out for editing. 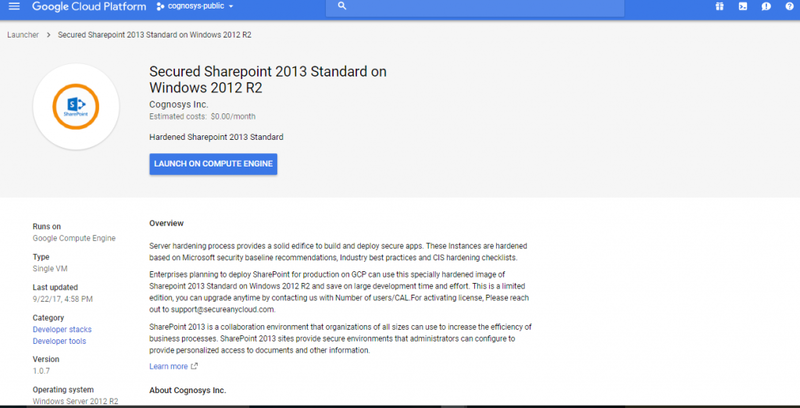 SharePoint seamlessly integrates with Office applications such as Word, Excel, and Access. SharePoint also provides a search tool for finding information on your site. 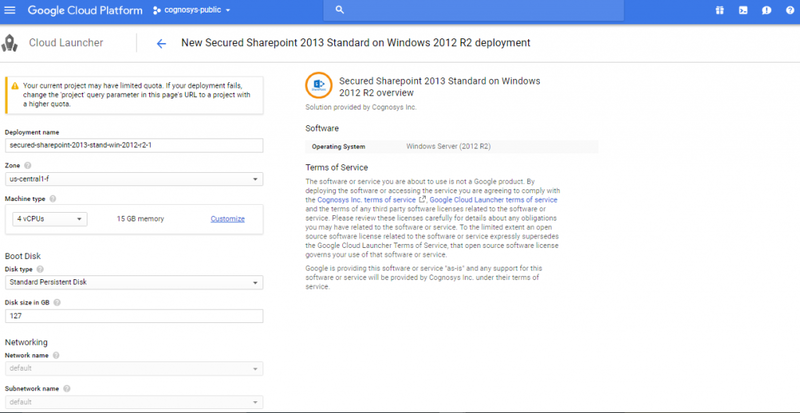 SharePoint offers your team full security over your site. Security settings are managed within your team by site owners.There’s much more you can do with SharePoint including sharing Calendars, team directories, task lists, and so forth. Cognosys Provides Hardened images of SharePoint on the cloud ( AWS marketplace, Azure and Google Cloud Platform). Note : Users need to reach out to us for CAL license providing number of CAL required. 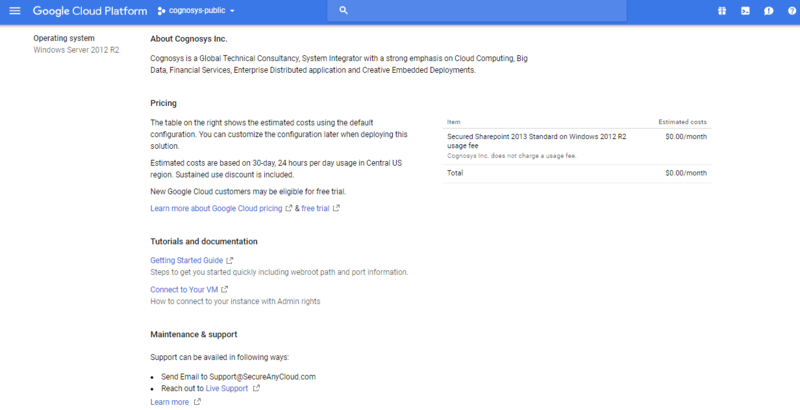 If you face any issue in running this image or activating license, Please reach out to support@secureanycloud.com. Sharepoint Server has already been installed. 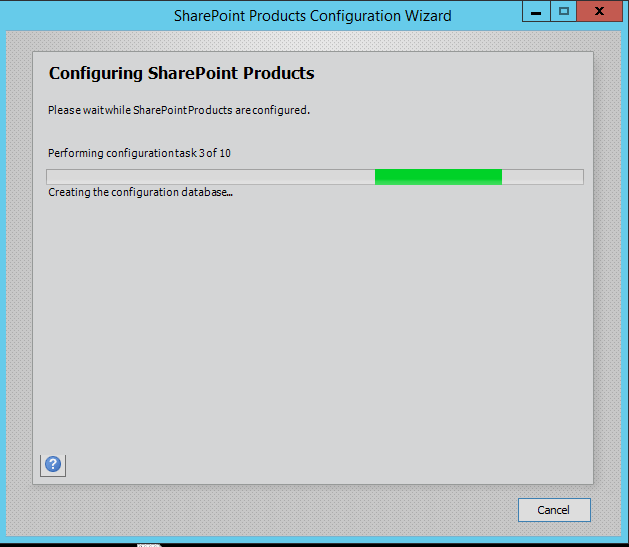 Sharepoint configuration should be completed by the user. 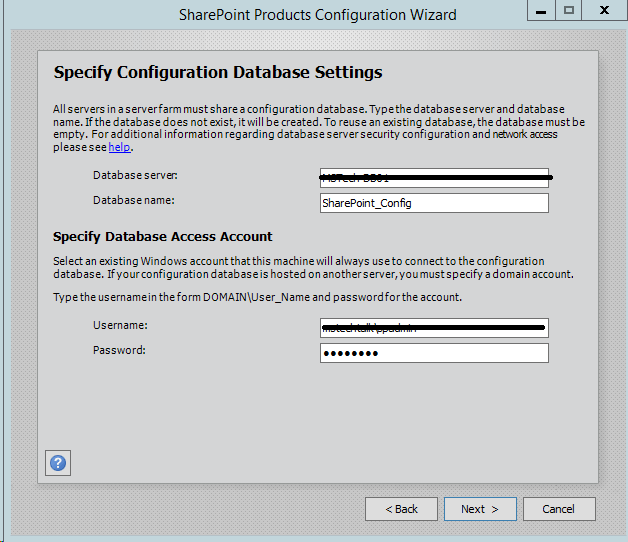 Please join a domain and have a SQL Server instance ready before starting the Sharepoint Configuration. Step 3. Select Create a new server farm option from the given options, if you are already have installed a new farm and doing a MinRole installation then select the first option to connect an existing server farm. Step 5. If you are facing problem in connecting SQL Server then make sure TCP/IP is enabled in SQL Server Configuration Manager. 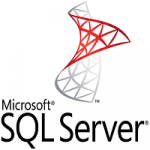 If you are still getting an error then turn off the firewall in SQL server machine. Step 6. After completing the database settings, press next which will take to you on Farm security settings page. 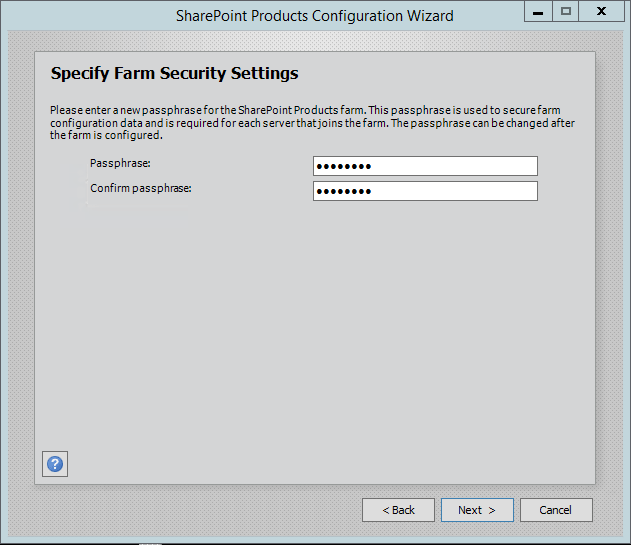 Enter passphrase here which is required to secure the farm configuration data and is required for each server that joins the farm. You can either select single-server farm or can do a multi-server installation using MinRoles topology. If you have selected Single-Server Farm then you cannot extend to Multi-Server environment, so if you plan to extend to multi-Server farm in future then select the Custom MinRole or Application. I am using single-server farm installation so will go with the last option. 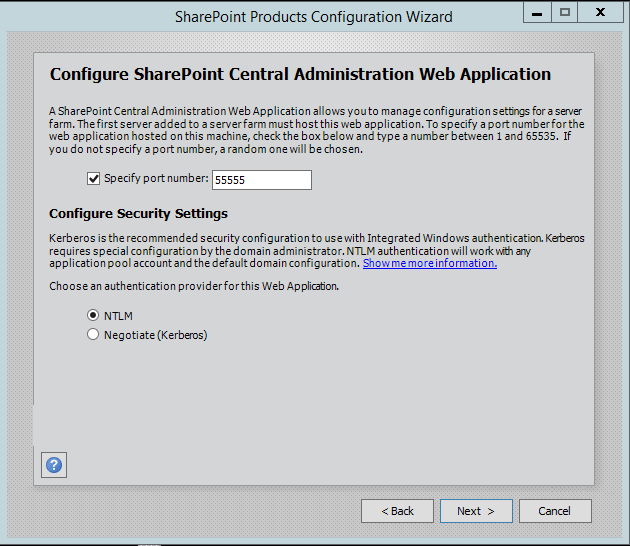 Step 8.On next screen, you can specify port for Central Admin or can use the default which is selected randomly. we have never used the default port, we always use an easy one which I can remember like 5555. Select NTLM installation mode at this phase and press next. Step 9. 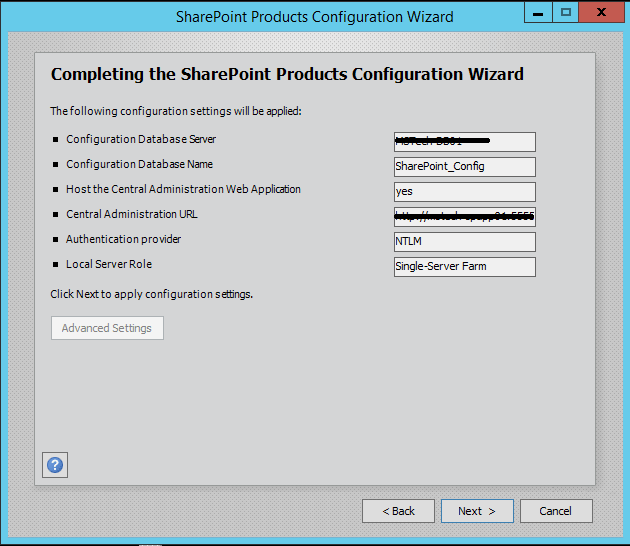 Verify the settings in configuration wizard, press next to start the wizard. 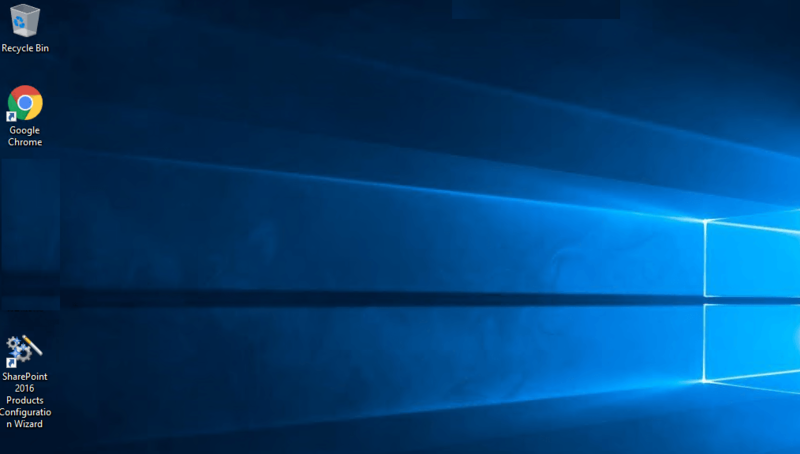 Advance option is not enabled for Single-Server installation. 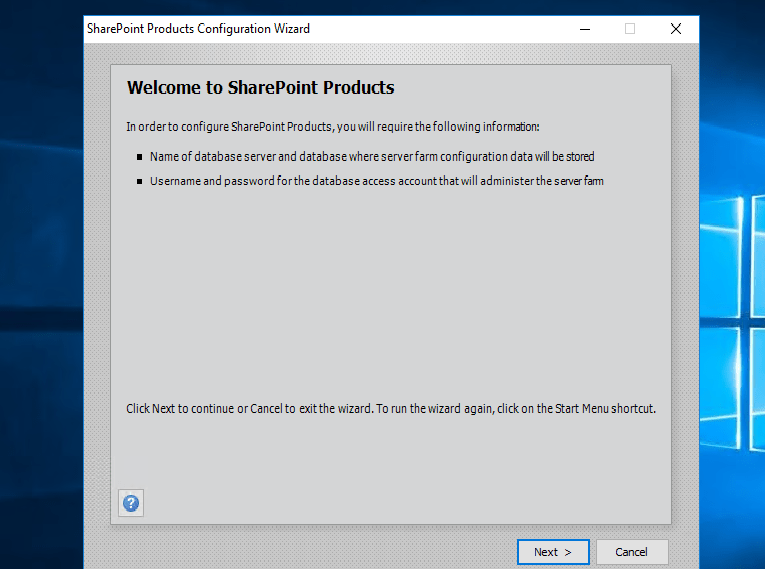 2019 and SharePoint 2013 or even with SharePoint Foundation which is no more part of SharePoint 2016. Step 11. The wizard would take some time and if you get some error then you have to verify the roles of the user in SQL Server. Step 12. 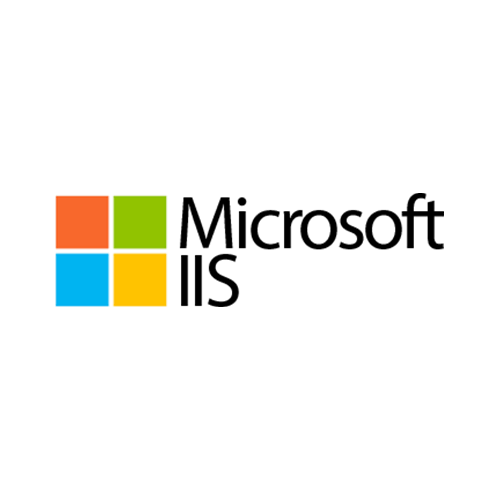 After the installation, run the services wizard from Central Administration, setup will take you to the service configuration wizard page, you can either configure them through wizard and can also configure them manually. Step 13. 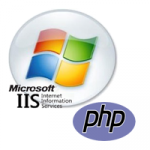 As this is test environment, so we will prefer configuring services using wizard. We can define a separate account for services but I am using the same SharePoint Admin account for all services. 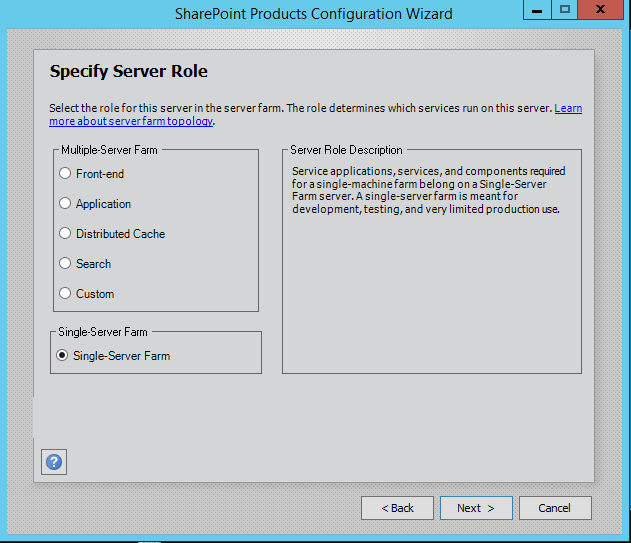 Step 14.This will complete the services wizard for us and now we are ready to use SharePoint. 2. You can see at this page, an overview of Cognosys Image as well as some estimated costs of VM. 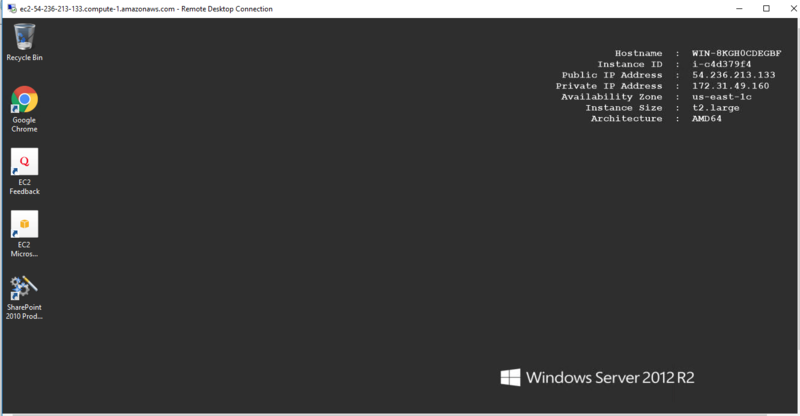 Step 3.Select Create a new server farm option from the next step as shown in below screen if you are already have installed a new farm and doing a MinRole installation then select the first option to connect to an existing server farm. 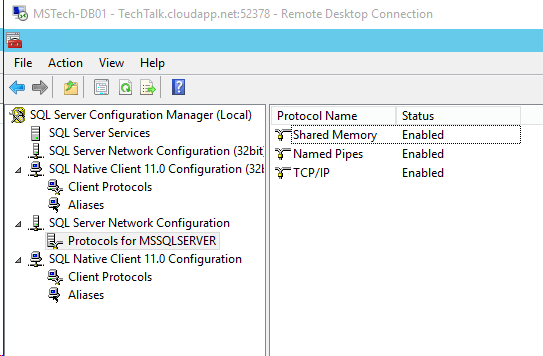 Step 5.If you are facing issues in connecting to SQL Server then make sure TCP/IP is enabled in SQL Server Configuration Manager. If you still getting the error then turn off the firewall on SQL server machine. You can either select single-server farm or can do a multi-server installation using MinRolestopology. If you have selected Single-Server Farm then you cannot extend to Multi-Server environment, so if you plan to extend to multi-Server farm in future then select the Custom MinRole or Application. Step 8.On next screen, you can specify the port for Central Admin or can use the default which is selected randomly. I have never used the default port, I always use an easy one which I can remember like 5555. Select NTLM installation mode at this phase and press next. Step 9. Verify the settings in configuration wizard, press next to start the wizard. The advance option is not enabled for Single-Server installation. Step 10. 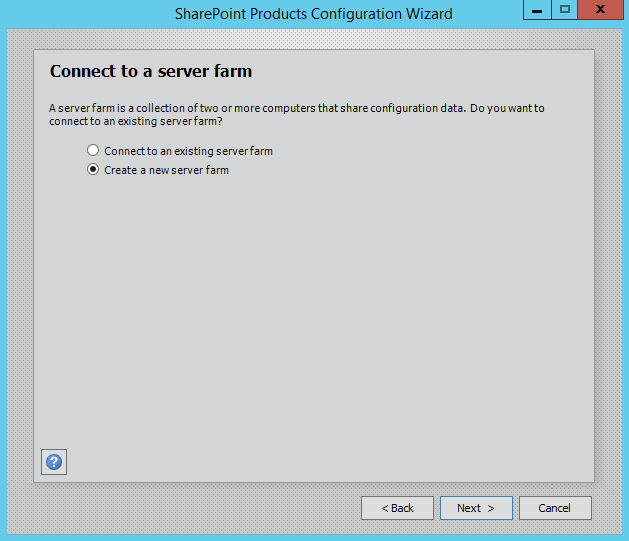 Press Next button, it will start the configuration of SharePoint farm. This is similar to what we do in past with MOSS 2007, SharePoint 2010 and SharePoint 2013 or even with SharePoint Foundation which is no more part of SharePoint 2016. Step 12. After the installation, run the services wizard from Central Administration, setup will take you to the service configuration wizard page, you can either configure them through the wizard or you can also configure them manually. Step 13.As this is test environment, so I will prefer configuring services using the wizard. 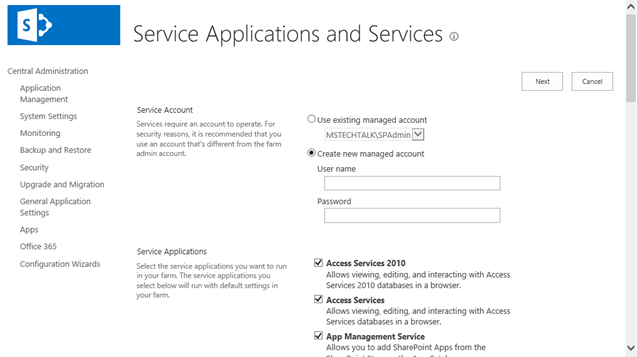 We can define a separate account for services but I am using the same SharePoint Admin account for all services. 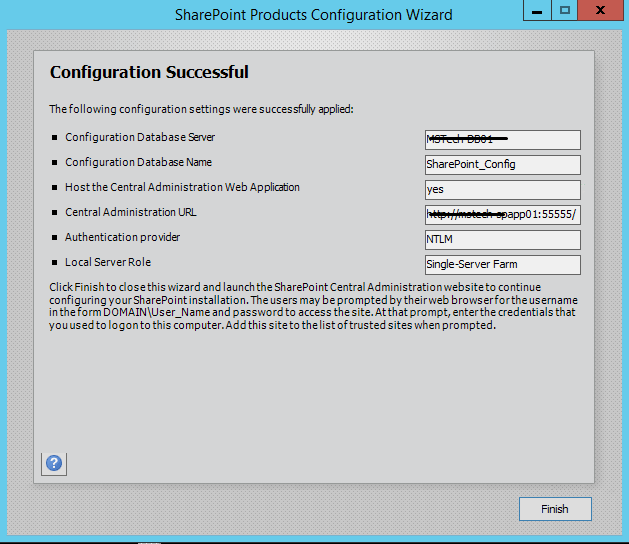 Step 14.This will complete the services wizard for me and now I am ready to explore SharePoint.